As lead sponsor of the European Championship in 2012 Allianz launched a huge cross media campaign. 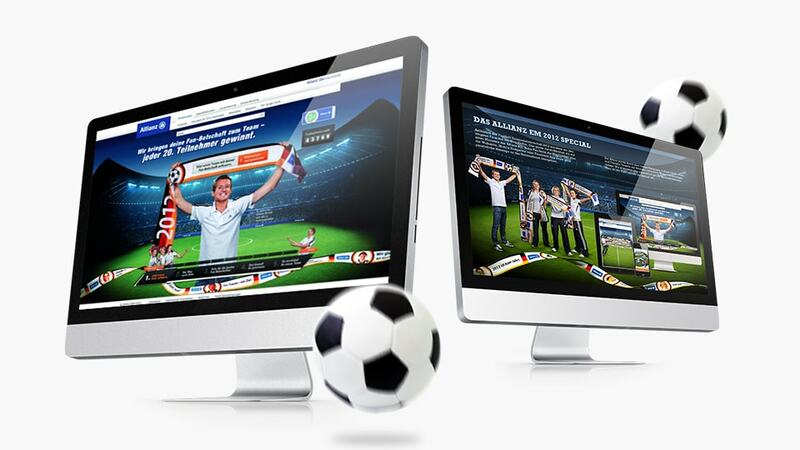 Fans of the National football team Germany could submit their messages on twitter, facebook or the microsite. The clou was: All Fan-Messages were woven at the "longest fan scarf" ever. And with a live stream cam user could watch all the day the Knitting Machine while knitting.